03 Apr 2018 --- Transcontinental Inc., who have held the title of Canadas “largest printer,” will soon become the seventh largest packaging company in the US, following a US$1.32 billion acquisition of Coveris Americas, a business held by Coveris Holdings S.A.
Transcontinental Inc.’ existing printing and media operations will be diversified through the acquisition, they claim, with a solid entry in flexible packaging and a strong pro forma position in dairy, pet food, beverage, agricultures and consumer products. Furthermore, they will be able to utilize the portfolio of Coveris Americas, which boasts 3,500 customers, including market leaders. Based on the financial results of both the companies from 2017, the pro forma consolidated revenues and Adjusted EBITDA for the combined entity for fiscal 2017 are estimated at US$2.6 billion and US$438 million, respectively, with flexible packaging accounting for approximately 48 percent of total revenues. According to Transcontinental Inc., Coveris Americas is one of the top ten converters of flexible packing and other value-added products in North America based on revenues for its fiscal year, which ended in December 31, 2017. Their product portfolio includes flexible plastic and paper products, from rollstock, bags and pouches, coextruded films, shrink films, coated substrates and labels. The acquisition represents “our strategic shift toward flexible packaging and solidifies our commitment to profitable growth,” says Isabelle Marcoux, Chair of the Board of Transcontinental Inc.
“We are convinced that this transformational acquisition will be a driver in the creation of long-term value for all of our stakeholders. It is with pride that we begin the next chapter of our successful journey with Coveris Americas, its employees and customers, building on our values of respect, teamwork, performance and innovation,” she adds. “I believe this is a major win for all parties involved in this deal. 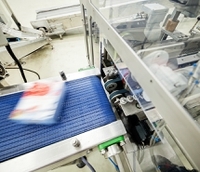 Five years ago the fragmented packaging industry was consolidated into Coveris Holdings S.A. Without this vision, Coveris Americas would not have existed in its present state of a customer-focused, high-quality flexible packaging company,” says Craig Reese, CEO of Coveris Americas, in a statement released by the company. As of December 31, 2017, Coveris Americas operated 21 production facilities worldwide, namely in the Americas, the United Kingdom and Australasia. Coveris Americas has over 3,100 employees, the majority of whom are located in the Americas. For its fiscal year ended December 31, 2017, Coveris Americas generated US$966 million in revenues and US$128 million in Adjusted EBITDA.